Chewing gum….what a wonderful refreshing treat! But alas, it eventually needs to be tossed out and unfortunately it often misses the trash can and hits the carpet. Sometimes, it also gets tracked into buildings on the bottom of someone’s shoes. Uh oh! Someone missed the trash can! How do you conquer this sticky situation? It’s a question I get asked all the time. There are many old wives tales on how to do it – use ice, heat it with a blow dryer or even use peanut butter! 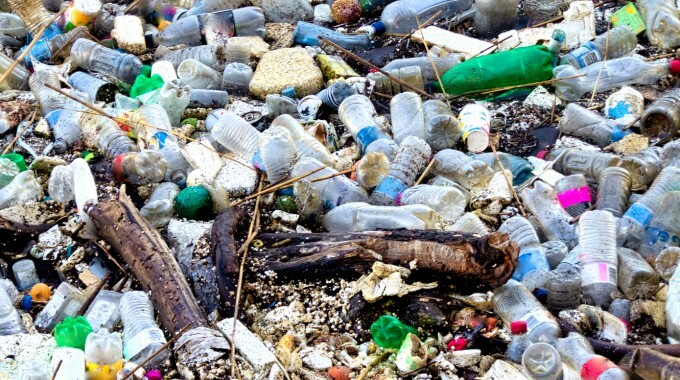 All of these solutions are time consuming and will probably make more of a mess (and smell) than actually solving your issue. Grab a tin of ProLink Gum Remover. 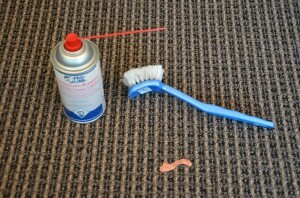 Simply spray the gum using the aerosol snorkel tube. The chemical instantly freezes the gum making it hard and brittle. 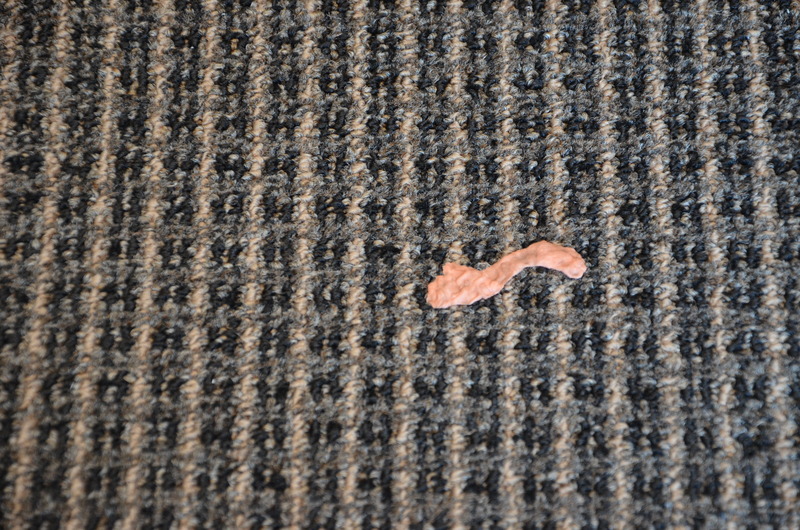 Break the pieces of now frozen gum right off the carpet. I like to use the back end of a carpet brush to scrape to away, but if you don’t have one of those use the end of a soup spoon. It’s rounded edge is strong enough to break the gum free, but smooth enough not to damage the carpet fibres. Make sure that you do not use a putty knife or any other knife as you will damage the carpet fibres. And voila! 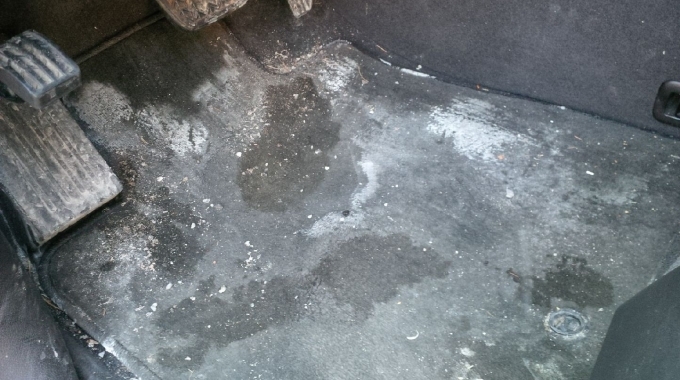 Your carpet will be chewing gum free in minutes and ready for traffic immediately. This gum remover does not leave a residual on the carpet so you don’t have to rinse or extract the gum spot after. Try doing that with peanut butter! 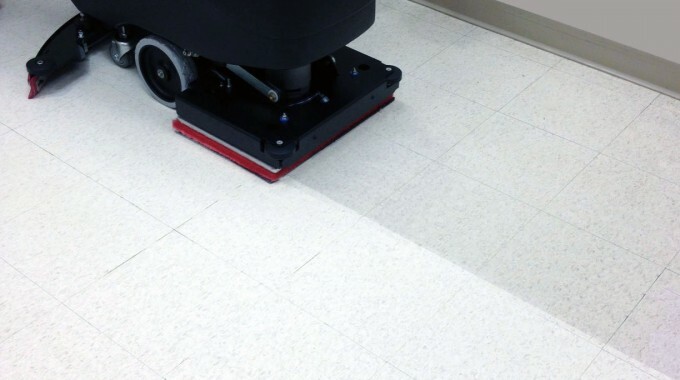 Are you looking for more tips and advice to help keep your facility or building squeaky clean? You can follow me on Twitter and Facebook. For all other enquiries, reach out the great team at Glen Martin Limited, a proud distributor of janitorial supplies in Barrie and surrounding areas. For a video tutorial, check out my 1 minute how-to video below. ‘Til next time, keep it clean!